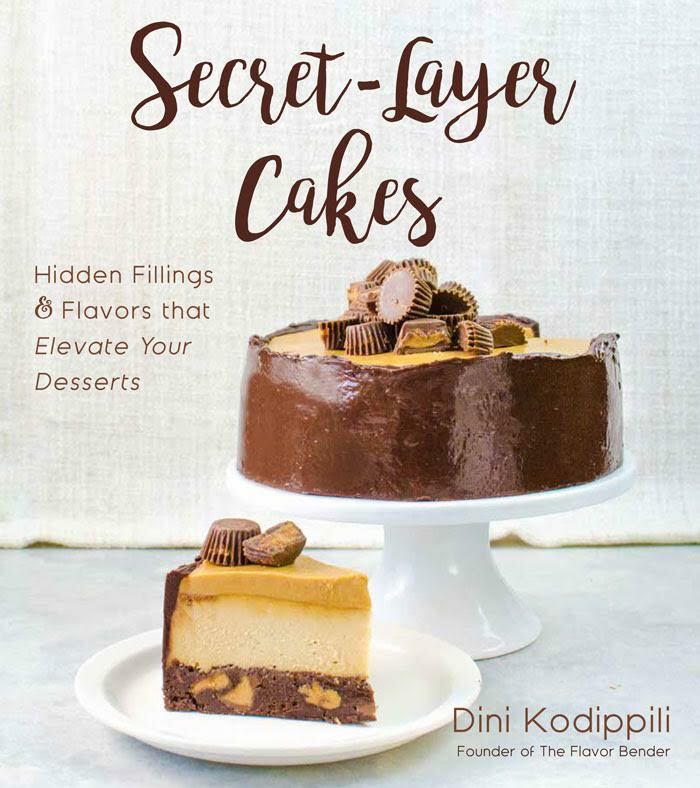 This splendid and magnificent thing is called "Funfetti Explosion Birthday Ice Cream Cake," and it is featured in the new book Secret-Layer Cakes by Dini Kodippili. Oh, you might know her as the celeb blogger behind The Flavor Bender. I'm kind of friends with her. It's no big (it's totally a big!). 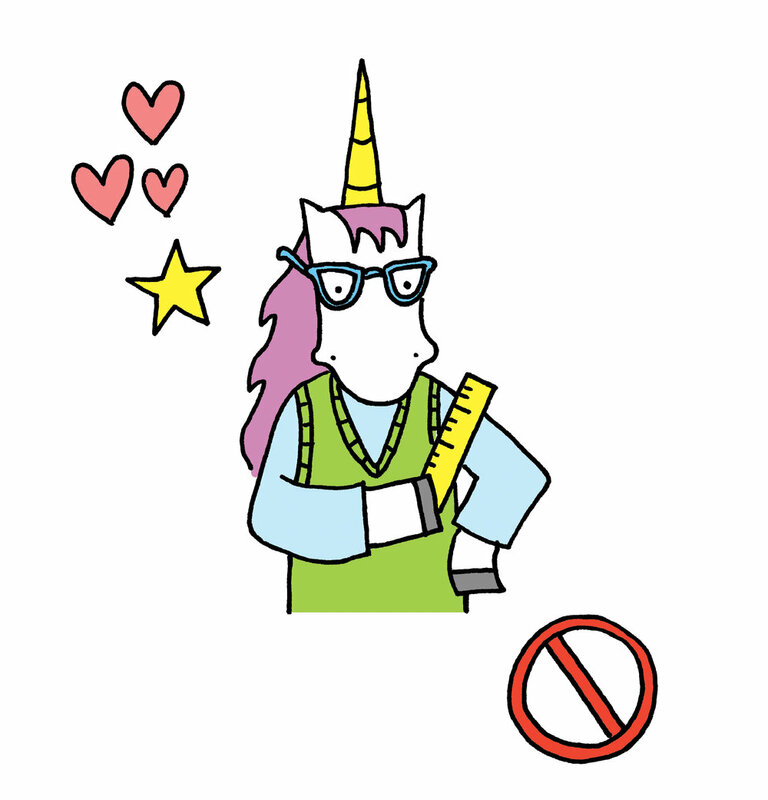 I should also tell you that recently, Dini made some donuts inspired by MY recent book, Stuff Unicorns Love. Be sure to check out that post, too! Her publisher was kind enough to grant permission for me to share this incredible masterpiece on CakeSpy. Please, promise me you'll make it every day? Here's the headnote from Dini and then the recipe. Enjoy! This cake looks like a funfetti cannon exploded all over it. Kids love rainbow colors and funfetti, so it'll be perfect for a summer birthday party! 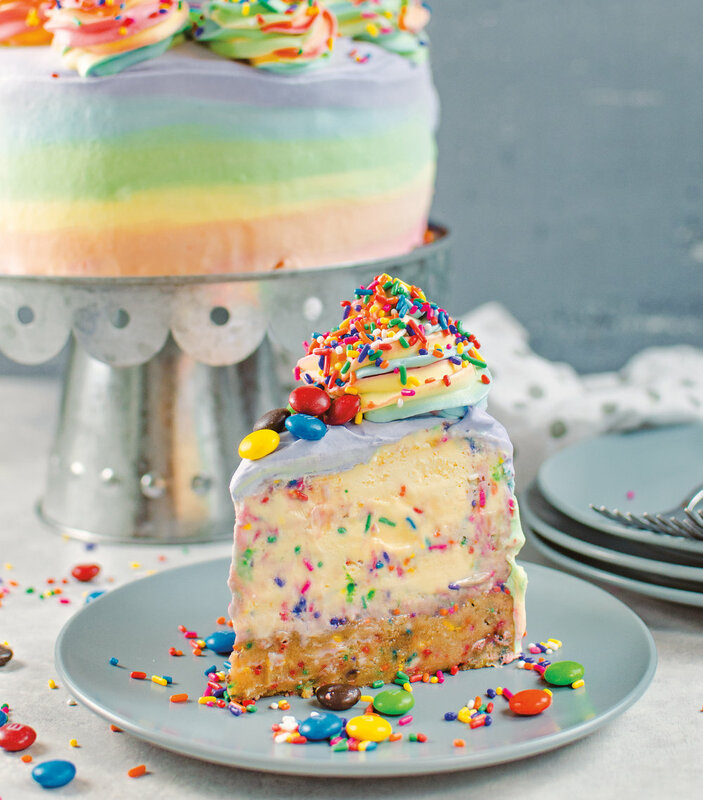 A fudgy blondie layer is packed with funfetti and topped with a cake batter-flavored funfetti ice cream layer. Top it with some sparklers to complete the look. Preheat the oven to 350°F (180°C). Butter an 8-inch (20-cm) wide, 3-inch (8-cm) tall springform pan. Line the bottom with parchment paper and dust the sides with flour. 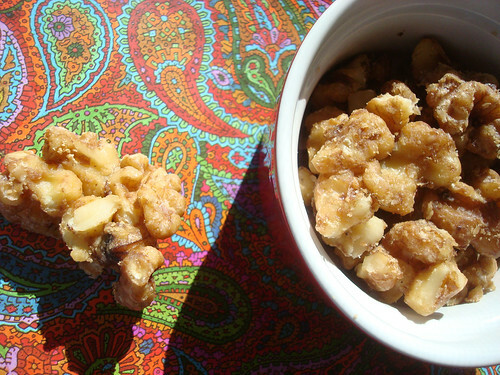 Melt the butter, salt and brown sugar in a heatproof bowl in 30-second intervals in the microwave. Stir to form a smooth butter-sugar mixture. Set aside to let cool slightly. Once the butter-sugar mix has cooled, add the eggs, one at a time, whisking well after each addition. Stir in the vanilla and the flour. Fold in the funfetti sprinkles. Pour the batter into the prepared pan and bake for 25 to 30 minutes (the blondie should still be soft and fudgy in the middle). Let the blondie cool in the pan. When it has cooled, line the sides with parchment paper or acetate paper. Refrigerate the blondie layer until the ice cream is ready. Microwave the cream until it’s warm, but not hot. Add the milk powder and dissolve it completely. Add the vanilla and stir to combine. Let cool. Place the softened vanilla ice cream in a bowl, add the cooled milk powder mixture and stir to combine. Fold in the funfetti sprinkles. Spread the ice cream over the funfetti blondie. Place the ice cream in the freezer until it freezes and hardens completely. This makes it easier to frost the cake quickly. Place the water in a small bowl and evenly sprinkle the gelatin over it. Set aside for 10 to 15 minutes to let the gelatin bloom. Microwave the bloomed gelatin in 10-second intervals, stirring in between, until the gelatin is completely dissolved (making sure that the gelatin does not boil). Add 5 cups (1.2 L) of the chilled whipping cream and confectioners’ sugar to a cold bowl. Whisk with the whisk attachment of your hand mixer on medium speed. Add the remaining 1 to 2 tablespoons (15 to 30 ml) of chilled cream to the hot, dissolved gelatin and stir to temper the gelatin. Add this gradually to the cream that is being whipped (being careful to pour it near the whisk, so that the gelatin gets mixed in with the cream immediately!). Whisk gently until you get soft peaks that still hold their shape. 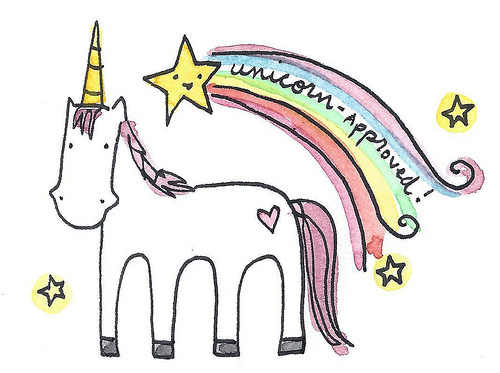 Use immediately. Work quickly to frost the frozen ice cream cake. Divide the whipped cream into 7 portions, then combine two to make one larger portion (so that you have 5 small portions and 1 double portion). Color the small portions with red, orange, yellow, green and blue gel food coloring. Color the double portion with purple. Remove the completely frozen funfetti ice cream cake from the freezer, and unmold from the springform pan. Spread the whipped cream on the sides of the cake to create a rainbow pattern—either rainbow patches, or rainbow ombre stripes—starting with red at the bottom and purple at the top edge and on the top of the cake. You can use the leftover whipped cream to pipe rainbow swirls on top of the cake as well. Sprinkle some funfetti sprinkles and M&M's on top (in the center). 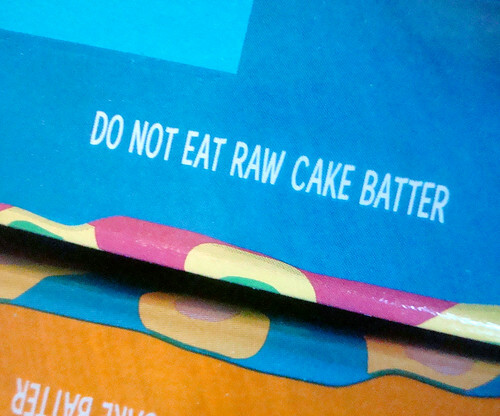 Return the cake to the freezer until you’re ready to serve. Who in your life needs this cake? Your New Year's health resolution is boring to me. 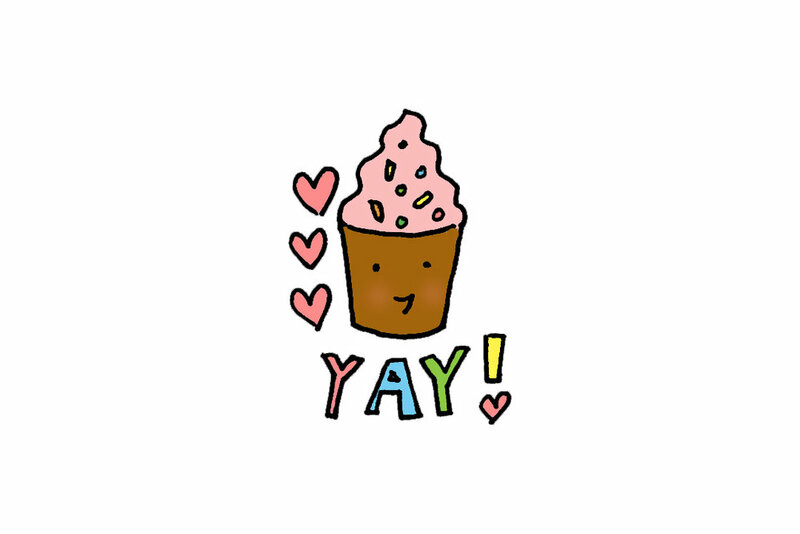 Let's eat cake instead. 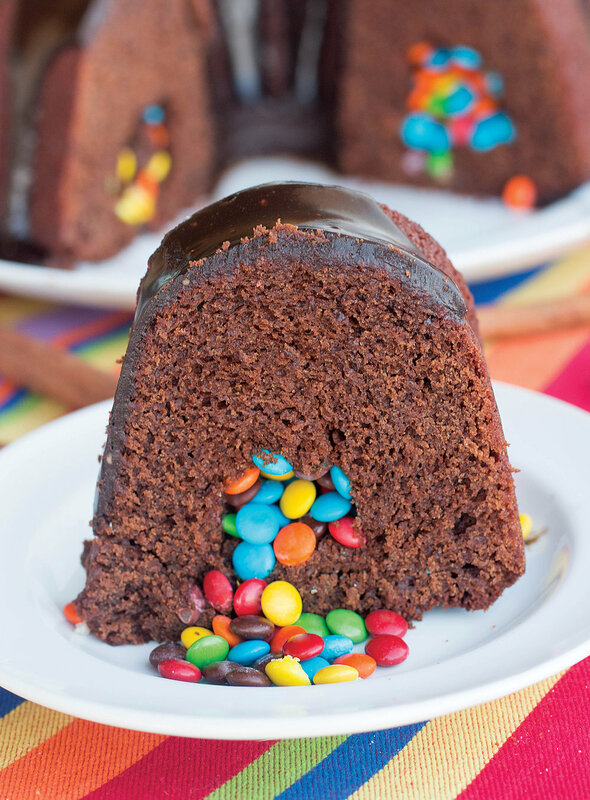 But not just any cake, friends: a Mexican Hot Chocolate Piñata Bundt Cake! 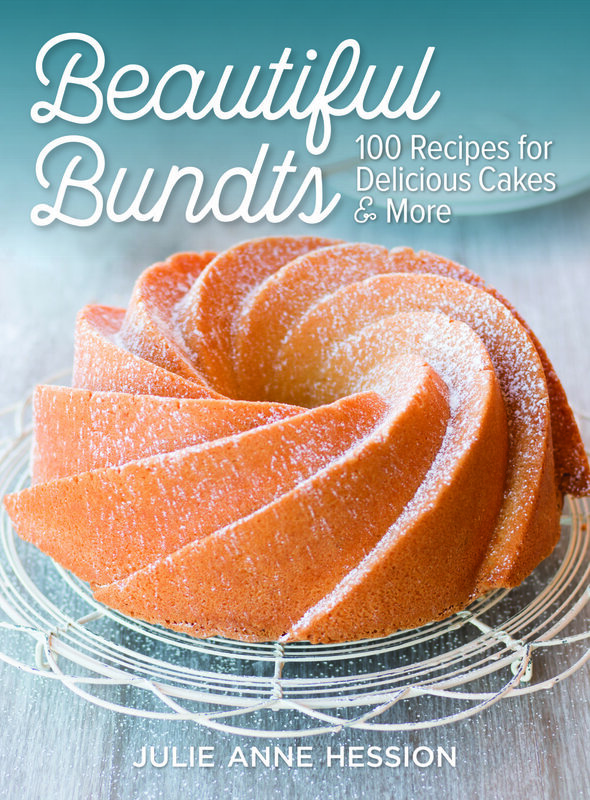 This beauty is from the brand new book Beautiful Bundts: 100 Recipes for Delicious Cakes & More by Julie Anne Hession. OK, so this book is awesome. It delivers on the promise of the title, with plenty of beautiful bundt cakes in all shapes and sizes. However, it also has some unexpected recipes. From savory bundts to pull-apart options, there are creative options in addition to the classics. It's truly a book that will challenge the view of the bundt pan as one trick pony in the kitchen! I'm delighted to have received permission to share this recipe for a Mexican Hot Chocolate Piñata Bundt cake on the blog. This happy cake is perfect for parties, Cinco De Mayo, or really, let's be honest, any day of the year that you crave chocolate and joy (which is most days for me!). A piñata Bundt? That sounds fun! Indeed. This Bundt is full of surprises and guaranteed to turn any occasion into an instant fiesta. Cut into the whole cake, pull out the first slice and you’re met with a cascade of colored chocolate candies spilling out onto your plate. Take your first bite, and what you thought was a standard chocolate cake hits you with notes of cinnamon and spicy cayenne. Whether or not you hit the dance floor, your taste buds will definitely be doing the salsa! After filling cake, it’s best to invert it onto a serving plate instead of a wire rack. Because sections of the cake have been removed and replaced, the cake should be moved as little as possible. The ganache thickens quickly once poured over the cake. To coax it down the sides, firmly tap the cake-topped plate or wire rack on the counter a few times. 1. 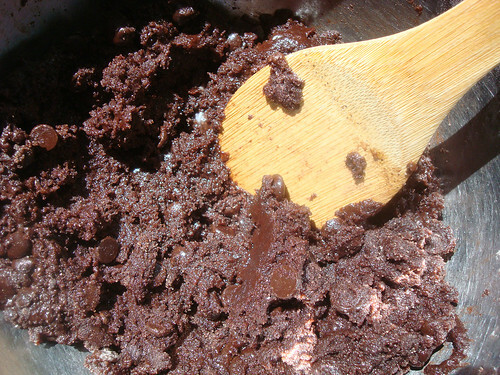 In a medium bowl, whisk together flour, cocoa, baking soda, salt, cinnamon and cayenne. 2. In the stand mixer bowl, beat sugar and oil on medium speed until blended. Beat in eggs, one at a time. Beat in liqueur and vanilla. 3. With the mixer on low speed, alternately beat in flour mixture and buttermilk, making three additions of flour and two of buttermilk, and beating until incorporated. Transfer batter to prepared pan and smooth the top. 4. 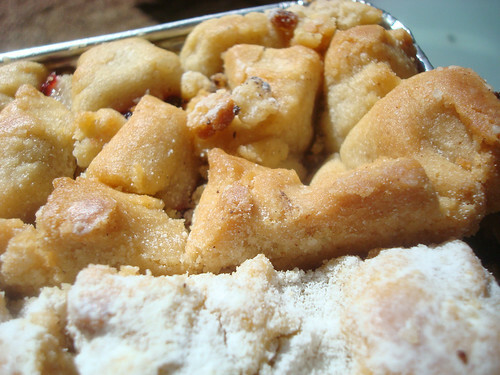 Bake in preheated oven for 50 to 60 minutes or until puffed and a tester inserted in the center comes out clean. Let cool in pan for 10 minutes, then carefully invert cake onto a wire rack to cool completely. 5. Prepare cake for filling as directed on page 88. Pour candies into the “moat,” filling it to about 1⁄2 inch (1 cm) from the top. Trim cut-out cake sections so that they fit snugly back together on top of the candies, pressing to adhere and completely covering up candies. Carefully invert cake onto a serving plate. 6. Pour ganache over the cake, letting it drip down the sides (see tip). Let ganache set for at least 20 minutes before serving. 1. In a small saucepan, stir together chocolate, cream and butter over medium-low heat until melted and smooth. Remove from heat and stir in cinnamon and liqueur to taste. Have you ever made a creative bundt cake? Oh, happy day. A week or two ago, I received a review copy of a new book by pastry chef Christophe Adams, entitled simply... Éclairs! This book is gorgeous. It's even more beautiful than a museum exhibition book. And happily, the publisher was willing to let me publish and excerpt from the book right here on CakeSpy. I chose one of the prettiest specimens in the book, pistachio orange eclairs. I am a true pistachio enthusiast, so these look like heaven to me. And while they are time consuming, it doesn't seem like they're impossible to make. I feel empowered! 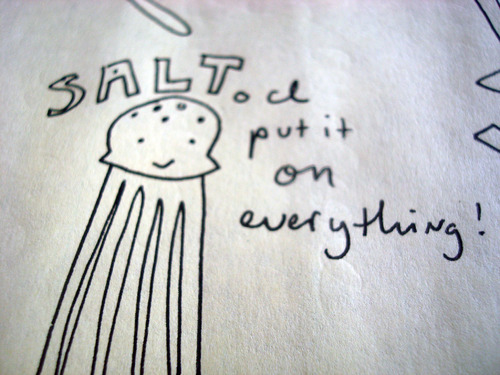 Anyhow, here's the recipe. If you feel so inclined, I think this book is well worth the purchase price; check it out here. 1. 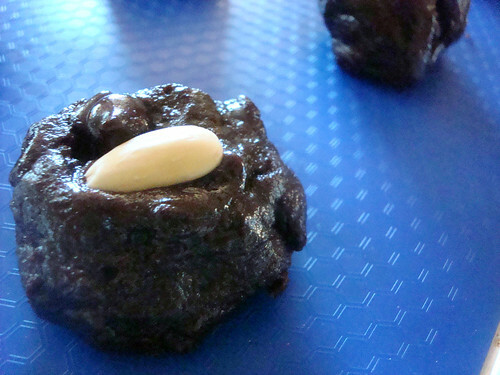 Place pistachios on a baking sheet and bake in preheated oven for 10 minutes, until slightly brown in the center. Transfer to a bowl and let cool. 2 & 3. Once cool, transfer pistachios to food processor fitted with the metal blade and process until ground to a fine powder. Reserve about 1 tbsp (15 mL) for decoration and set aside. 4 & 5. Add oil to remaining ground pistachios and process until smooth. 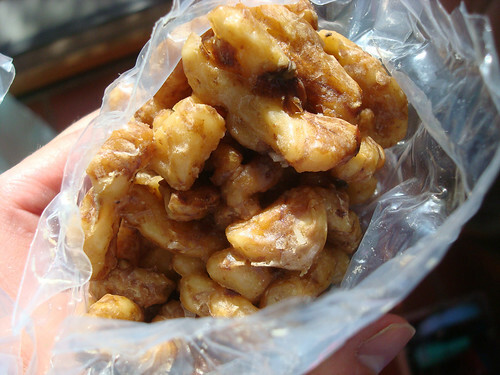 Transfer to a bowl, cover and refrigerate until ready to use. In a small bowl, stir together gelatin and cold water. Set aside. 1 & 2. In a saucepan, bring milk to a boil over medium heat, grating zest from orange into milk as it heats. Remove from heat and cover with plastic wrap. Let steep for 10 minutes. 3. Meanwhile, in a heatproof bowl, combine egg yolk, sugar and cornstarch. 4. Whisk until mixture is creamy and thick. 5. Pour steeped milk through fine-mesh sieve into egg mixture; discard zest. 6. Return to saucepan and bring to a boil over medium heat, whisking constantly. 7. Remove from heat. Add gelatin mixture, stirring until gelatin is dissolved. 8 & 9. Place 1 tbsp (15 mL) pistachio paste into a heatproof bowl. Pour hot custard over pistachio paste and whisk until completely incorporated. 10, 11 & 12. Let cool to 104°F (40°C). Using immersion blender, gradually incorporate butter, blending after each addition, until smooth and shiny. Transfer to a shallow dish. Cover with plastic wrap and refrigerate until chilled, for up to 1 day. 1. In stand mixer fitted with the paddle attachment, beat cubed almond paste until smooth. 2 & 3. While mixing, add enough green food coloring to turn paste bright green. Add 2 tsp (10 mL) pistachio paste. Mix until smooth, adding more food coloring if necessary to achieve desired color. 4. Sprinkle a clean work surface with confectioners’ sugar. If using, place two spacers parallel to each other, about 8 inches (20 cm) apart. Place prepared paste between spacers and sprinkle with a little more confectioners’ sugar to keep it from sticking. 5. Using rolling pin, roll out paste to about 1⁄16 inch (2 mm) thick. 6. Remove spacers, if necessary, and carefully slide offset palette knife underneath sheet of paste to loosen it from work surface. 7. Make a template: Trace an oblong shape slightly smaller than your éclairs onto cardstock, then cut out. Place the template on top of rolled-out paste and cut out 10 oblongs. 1. In a saucepan over medium heat, heat clear glaze until smooth and no lumps remain. Add just enough food coloring to turn glaze deep green. Remove from heat. 2 & 3. Add gold shimmer dust. Using immersion blender, blend until smooth. Set aside at room temperature. Using a 1⁄4-inch (0.5 cm) round piping tip, pierce 3 evenly spaced holes in base of each éclair. Place piping tip in pastry bag, if desired. Using a spatula, fill pastry bag with prepared pistachio cream. Fill each éclair, inserting a small quantity of cream in each hole. Using a small knife, remove excess cream. 1. Warm a small amount of clear glaze in microwave just until fluid. Using pastry brush, coat one side of each piece of pistachio-almond paste. 2. Place a piece of paste, glazed side down, on each éclair, pressing down lightly on edges of paste to help it stick to the éclair. 3. 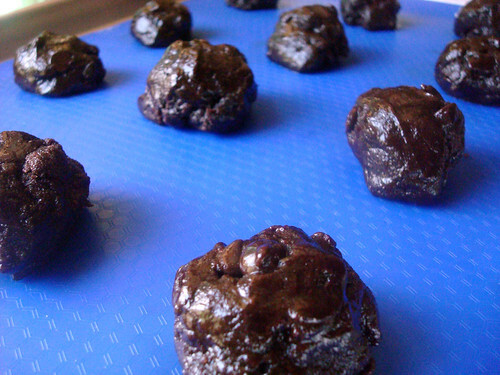 Warm prepared sparking green glaze in microwave, if necessary to thin. Dip the top of each éclair in glaze. 4. Remove excess glaze by brushing lightly with pastry brush. 5. Decorate each éclair with a row of candied orange peel cubes bordered by a little reserved pistachio powder. Let stand until glaze is set. 1. In a medium saucepan, combine water, milk, vanilla, sugar, butter and salt. 3. Remove from heat. Add flour. 4. 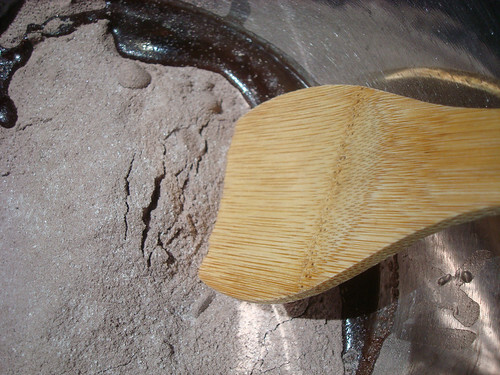 Using a wooden spoon, stir until flour is completely incorporated and dough pulls away from sides of pan, leaving sides of pan fairly clean. 6. Transfer mixture to a bowl. Gradually add just enough egg to make a glossy, firm dough, while beating well with a wooden spoon or heatproof spatula—this is essential for the pastry to turn out well. 7. The dough will be very smooth and hold its shape. 1. Using bowl scraper or spatula, transfer dough to a pastry bag fitted with a 3⁄4-inch (2 cm) star tip. On prepared baking sheet(s), pipe pastry dough into oblong shapes, spacing about 2 inches (5 cm) apart (they will expand as they bake): Classic éclairs: 51⁄4 by 1 inch (13 by 2.5 cm); Small éclairs: 21⁄2 by 3⁄4 inch (6 by 1.5 cm); Miniature éclairs: 2 by 1⁄2 inch (5 by 1 cm). 2. Bake one sheet at a time, in preheated oven until evenly puffed and golden brown and they feel hollow: Classic éclairs: 35 minutes; Small éclairs: 30 minutes; Miniature éclairs: 25 minutes. Do not open oven door while baking, or éclairs will collapse. At the end of baking, turn oven off, open oven door about 1⁄2 inch (1 cm) and let cool for 15 minutes (they will continue to brown slightly) to let steam escape and prevent éclairs from cracking. Transfer to racks to cool completely. Courtesy of ÉCLAIRS by Christophe Adam © 2017 www.robertrose.ca Reprinted with publisher permission. Available where books are sold. Does Peanut Butter from New Zealand Taste Different? Not too long ago, I was contacted by Pic's Peanut Butter to see if I would be interested in trying their cool peanut butter from New Zealand. Well, part of me wanted to scoff at the very idea--after all, peanut butter is an American phenomenon, right? Naturally we do it best. But I resisted the temptation to, Princess Bride style, say "inconceivable!". Instead, I said "yes, I will try your New Zealand peanut butter." Because I really, really love peanut butter, and they were offering it to me for free. 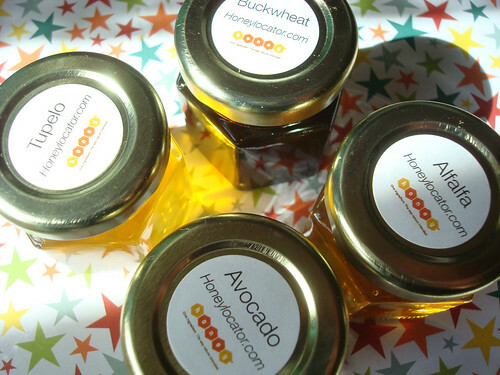 Living, as you do, in the spiritual home of peanut butter, you can, if you poke around a bit, find an extraordinary variety of peanut butters and peanut oil. So why on earth should you buy peanut butter from the other side of the world? Because you won’t find any American peanut butters quite like ours. Despite the fact that our Hi-oleic nuts were developed in the US, they just can’t be grown in America. It’s something to do with cross pollination with ordinary peanuts that makes them revert within a season. The trick is to declare your whole country Hi-oleic, which is what Australia and Argentina have done. 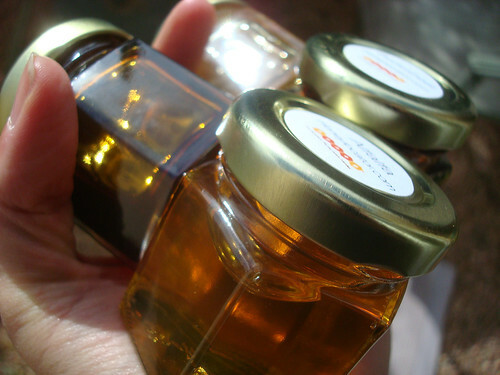 Argentinian Hi-oleics are, however, harvested younger than their Australian cousins, making them sweeter, but with a less intense flavour. So, that’s why you won’t find any American peanut butter quite like ours. And hey, if you don’t find it the best tasting peanut butter you’ve ever eaten, we will give you your money back. Well, I wasn't so concerned about getting my money back since I was getting the stuff for free, but I withheld judgment until tasting. A week or so later I got the peanut butter in the mail, along with a jar of roasted peanuts. I immediately set forth to test the product on a slice of toast I happened to have nearby. So, back to the big question: does peanut butter from New Zealand taste different? Well, I've got to tell you, this peanut butter is special. First, the consistency is different. This is a no-stir peanut butter, but somehow it manages to have the same texture as a stir-type of peanut butter after it has been stirred. So a little bit more liquid (in a good way, in my opinion) but without the stirring needed. The flavor was unique, too. It was still absolutely recognizable as peanut butter, but it was somehow different, too. It almost tasted as if they had made this peanut butter with those little intensely flavored spanish peanuts; it had a very roasty, robust flavor. I really liked this peanut butter. Now, they sent it to me for a review and to test out with baking, but I am going to tell you the truth: I got through the whole jar just eating it on toast and by the spoonful after a few days, and I never got the chance to bake with it. Which, perhaps is the best review of all: I loved eating it so much I didnt' even get to the intended use. So if you see this stuff in the stores, give it a try! It's not quite like any other peanut butter I have ever tried. What's your favorite kind of peanut butter? I don't know if you remember, but a while back, I fell in love with a cookie company. That cookie company was called Mr. Nelson's Cookies, and they (well, he, because there is in fact a Mr. Nelson who makes the cookies) make cookies that are freaking to die for. They're perfect in all the classic ways, but not so fancy as to be unrecognizable as a classic chocolate chip cookie. Oh, and they're huge. It's a mouthful and more of cookie. Some people say "I can't finish one!" but I'm not one of those people. If I want a cookie, I can finish one in one sitting, no problem. Now, normally when a company reaches out to me and says "we're going gluten-free!" I will confess to you, I get kind of bored and stop listening all the way pretty much instantly. But when Mr. Nelson told me he was making a gluten-free version of his cookies and would I like to try them, I was all "well, this is worth my time." 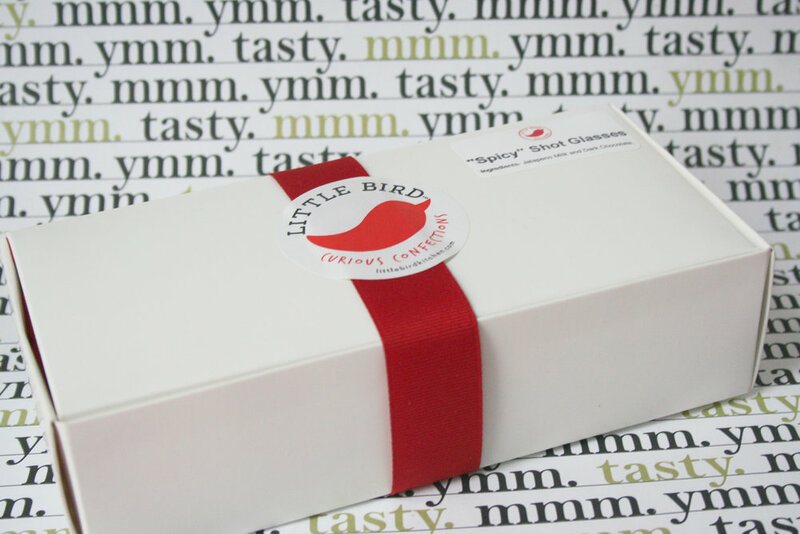 After all, part of what impressed me about the company was the attention to detail, the beautiful construction of the cookies, and the gorgeous, thoughtful packaging. Mr. Nelson knows how to make his cookies an event. So, I was willing to go for a gluten-free detour with Mr. Nelson. 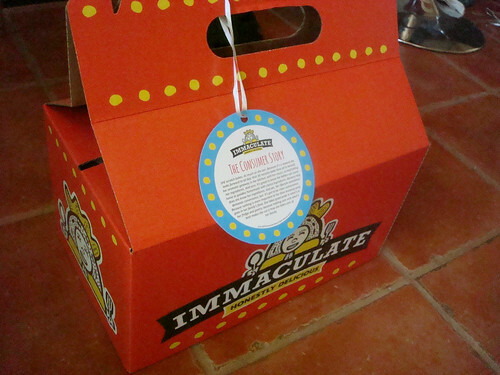 The cookies arrived, and just as before, the packaging was beyond beautiful. My sense of anticipation rose as I opened the parcel and slid the box open to reveal a treasure trove of cookies. 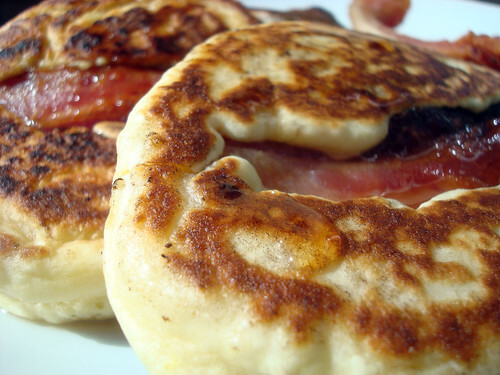 They didn't look weird or lumpy or in any way like they suffered from the lack of gluten. They were beautiful. I don't mean this to sound like a back-handed compliment, but they didn't taste gluten-free. 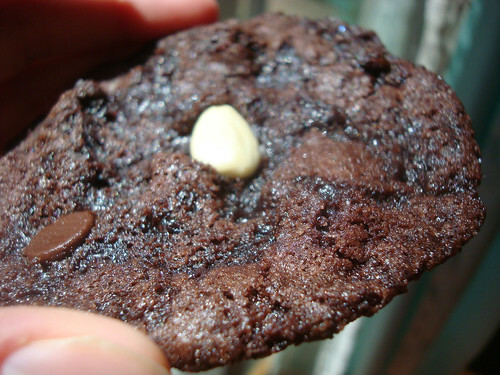 If you had served me this cookie and you said "guess the secret ingredient" I would not say "gluten-free flour". I would say "ground flax seeds" or "wheat germ" or "something healthy". Because the cookies did vaguely taste like they contained something healthy. But it was a whisper, not a scream. I'll tell you the truth, if I wasn't tasting slowly and mindfully, if I had just jammed the cookie in my mouth, I never would have even known it was gluten-free. That having been said, the flavor was subtly different from the "regular" cookies. That nuttiness that I detected--I an only assume that was something in the flour mix that Mr. Nelson chose. Porkchop tried to get me to give him a bite, but he didn't get one. After all, they might not have gluten, but they still contained plenty of chocolate. No-go, pug! 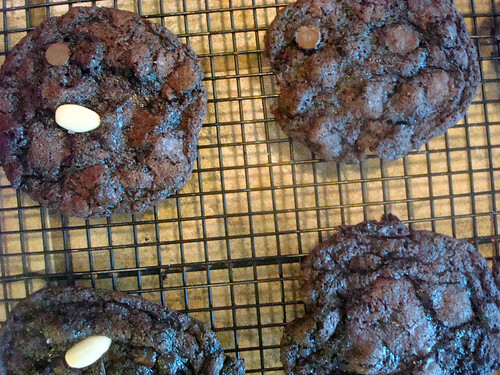 The cookies were a bit more crumbly than their gluten-containing counterparts, but not unreasonably so. Given that they lacked gluten, I am impressed that they weren't more crumbly. But all things considered, all gluten removed, Mr. Nelson still makes a very fine cookie. Between you and I, I think I will probably stick to the classic because I can, but if you're gluten-free or have tummy troubles with too much gluten, this variety is the perfect way for you to have your cookie and retain your health and sanity, too. 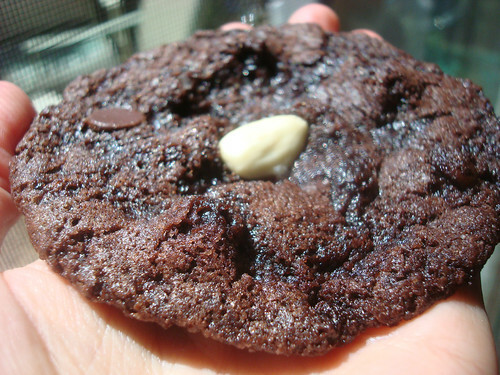 Check out Mr. Nelson's Cookies here. What happens when you make marshmallows with sorghum? Very good things, as I learned in the brand-new book The Southern Cookie Book. 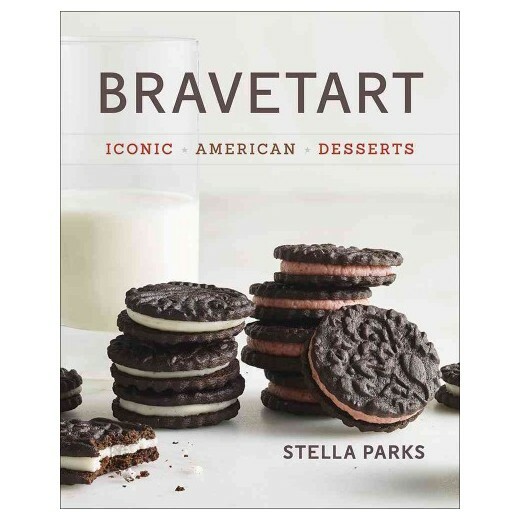 This totally awesome book comes at you from the editors of Southern Living, and it is full of not only cookies but all sorts of interesting confections, too--including sorghum marshmallows. Sorghum syrup is a unique thing--somewhat similar in texture to molasses, but definitely not molasses flavor-wise. 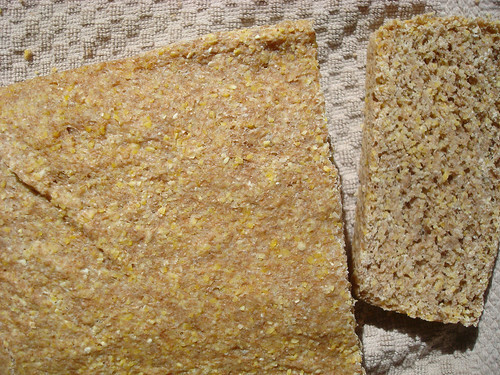 It is derived from sorghum grass, a type of cereal grain. 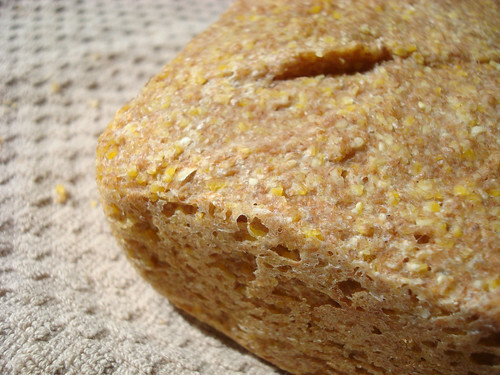 Sorghum itself is pretty fascinating - you can learn more about it here. 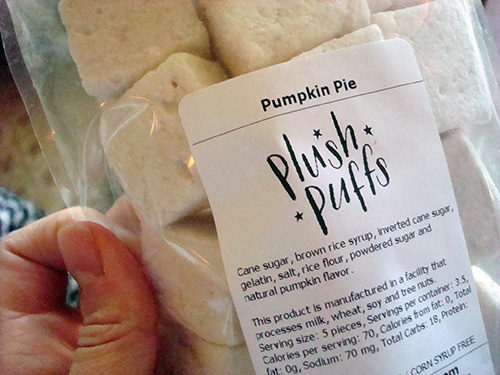 The book's description only adds to their appeal: "Pillowy and sweetened with flavorful sorghum syrup, these marshmallows can float atop a mug of cocoa or be wrapped up for holiday giving." 1. Sprinkle gelatin over 1⁄2 cup cold water in bowl of a heavy-duty electric stand mixer. Stir together granulated sugar, next 2 ingredients, and 1⁄2 cup water in a 41⁄2-qt. saucepan over medium-high heat; cover and cook 3 minutes, bringing to a boil. Uncover and boil, stirring often, until syrup thickens and a candy thermometer registers 240°F (about 8 to 12 minutes; lower heat as necessary to prevent mixture from boiling over). 2. Gradually add hot sugar mixture to gelatin mixture, beating mixture at low speed, using whisk attachment, 30 seconds or until blended. Increase speed to high (cover bowl with a towel to prevent splattering); beat 10 to 12 minutes or until mixture cools to room temperature and is thick but still pourable. 3. Whisk together cornstarch and powdered sugar. 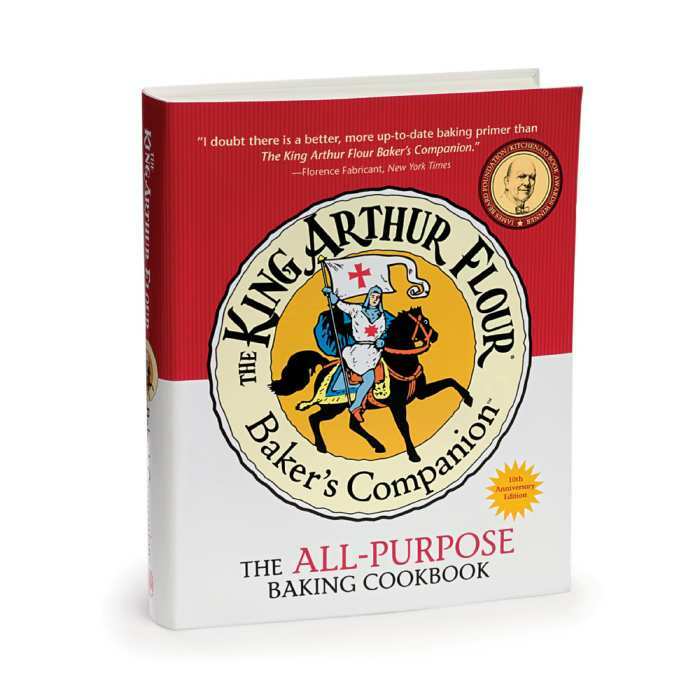 Dust a buttered 13- x 9-inch baking dish with 1 Tbsp. 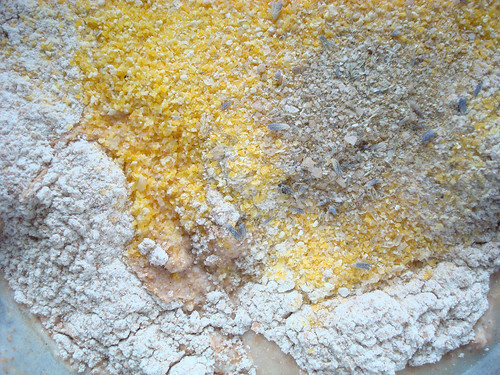 cornstarch mixture. Pour gelatin mixture into prepared dish; smooth with a lightly greased (with cooking spray) spatula. Dust with 11⁄2 Tbsp. cornstarch mixture. Cover remaining cornstarch mixture tightly, and reserve. Let marshmallow mixture stand, uncovered, in a cool, dry place 8 to 14 hours or until dry enough to release from baking dish and no longer sticky. 4. Invert marshmallow slab onto cutting board; cut into squares (about 1 inch each). Toss squares in reserved cornstarch mixture to coat. 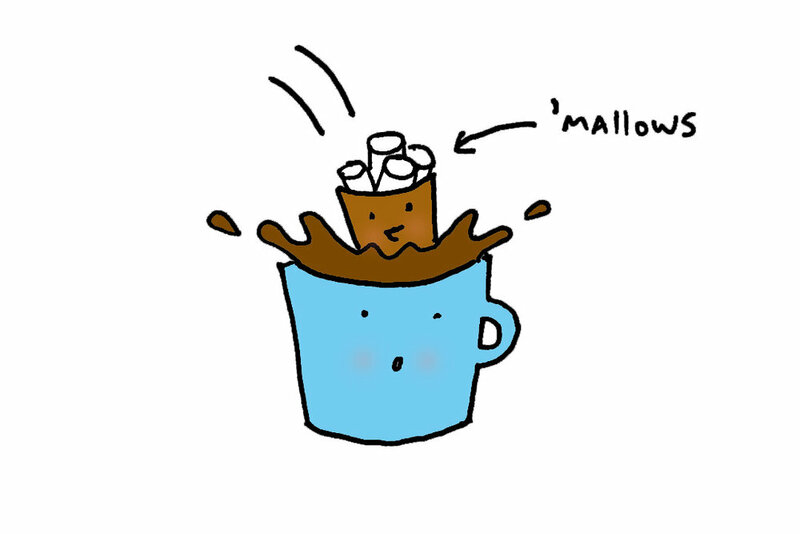 Store marshmallows in an airtight container at room temperature up to 2 weeks. *Cane syrup may be substituted for sorghum syrup. 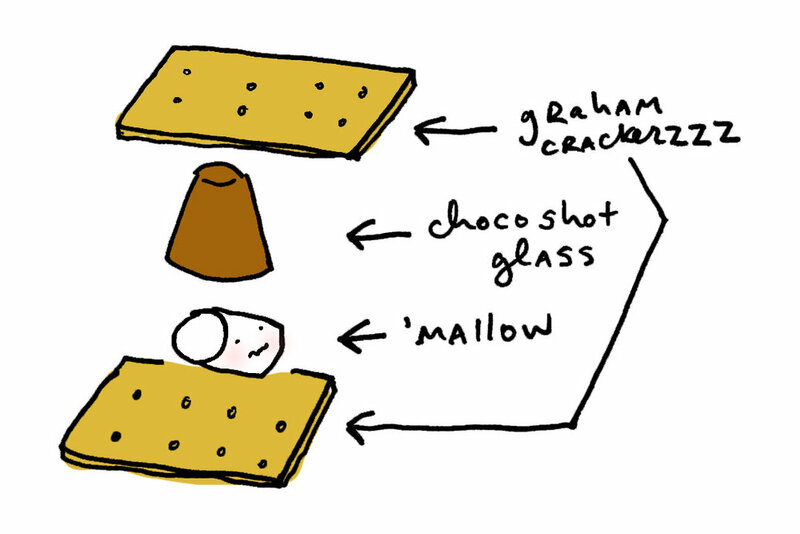 Have you ever made creative marshmallows? 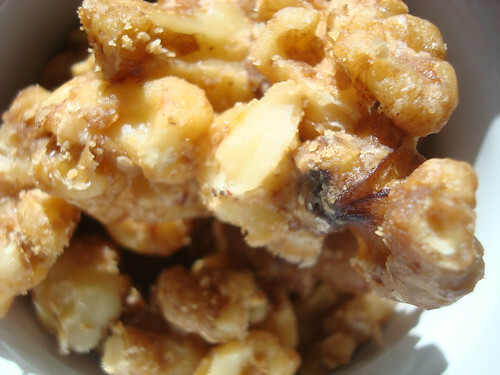 Today is National Raisin and Spice Bar Day. 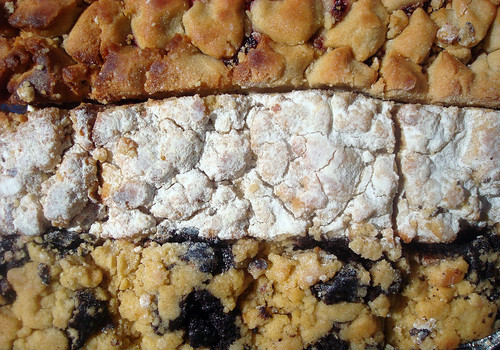 While they have a different name, I'm gonna say that these interesting bars fit the bill as they do contain raisins and spices: the "1812 Cookie Bar" by Matthews 1812 House. A few weeks ago, I was contacted by a mail-order cookie and cake company called Matthews 1812 House. They asked if I would like to try some of their goodies. Well, twist my arm why don't you. I requested the "1812 Cookie Bar", because it seemed like an interesting item, and one unlike anything else I had ever seen. The description of the bars goes like so: "Tangy apricots, crunchy pecans and chocolate chips are mixed into a honey and brown sugar batter, then baked on a buttery shortbread crust. 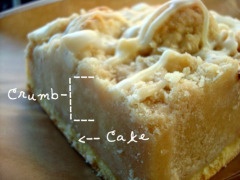 Finished with our own special browned butter icing, you'll find these bars truly amazing." While not specifically mentioned in the description, raisins and spices are listed in the ingredients, which is why I find them appropriate for today's national food holiday. Actually, more than appropriate. Because look at these things. They look crave-worthy, right? Especially on my new custom tray, by Bags of Love. They taste crave-worthy, too. I love a good bar cookie, and these are indeed a fine specimen. The cookie base is sturdy and flavorful, with just the right amount of salt, butter, and sweetness coming together. My darling one didn't care for the apricot, but I told him to shut up because I thought it was great, and I'm the one with a food blog, so I win, right? 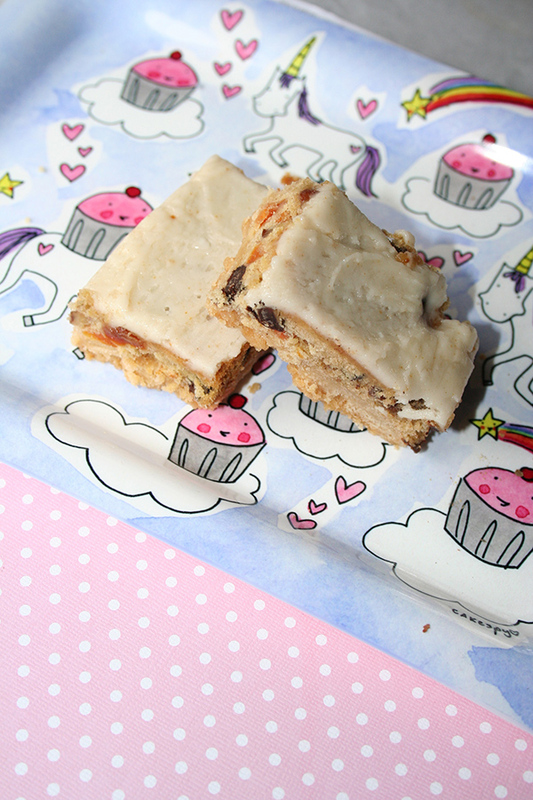 But really, for me, what brought these bars together was the browned butter frosting. I don't know if they sneak an elixir of addictiveness into it somehow, but I could eat this stuff with a spoon from a jar and be very happy. It gives the sweet frosting a depth of flavor that lasts on the tongue for several moments after you've taken a bite, in the best way possible. I won't lie, these bars are not cheap. A 6x9 tray (a bit smaller than a sheet of printer paper) is $32 plus shipping (I calculated to my home; the total cost would be $44 or so). But they are interesting, and very well made, and they were securely packaged and arrived fresh. So...if you feel like you want a unique, artisan treat, I would say they're worth it for a special occasion. "Matthews 1812 House was started in 1979 in the family farmhouse by Blaine and Deanna Matthews. Named after the year the house was built, they started with two fruitcakes (and had two small children at the same time)! Soon there were baking racks in the hallways and people sorting apricots and pecans on the dining room table. In 1991 the business moved to a dedicated facility just a mile from the farmhouse. 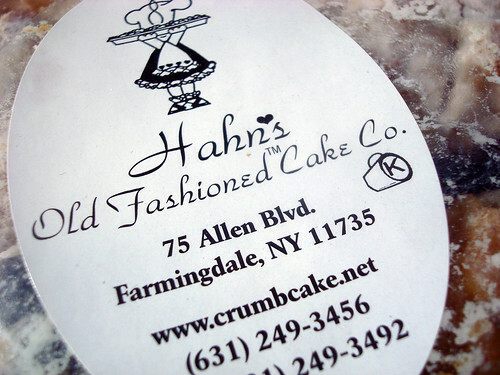 With a carousel oven (yes, it rotates), and more room, they expanded from their line of specialty cakes into cookies, bars, and other mouth-watering baked goods." Check out these bars and the full offerings of Matthews 1812 House here. I Am Obsessed With Austin Cake Ball "Shuffles"
This is not a cake ball. It's not a truffle. It's a "shuffle". What's a shuffle, exactly? Well, physically, it's sort of like a cake ball's cousin. 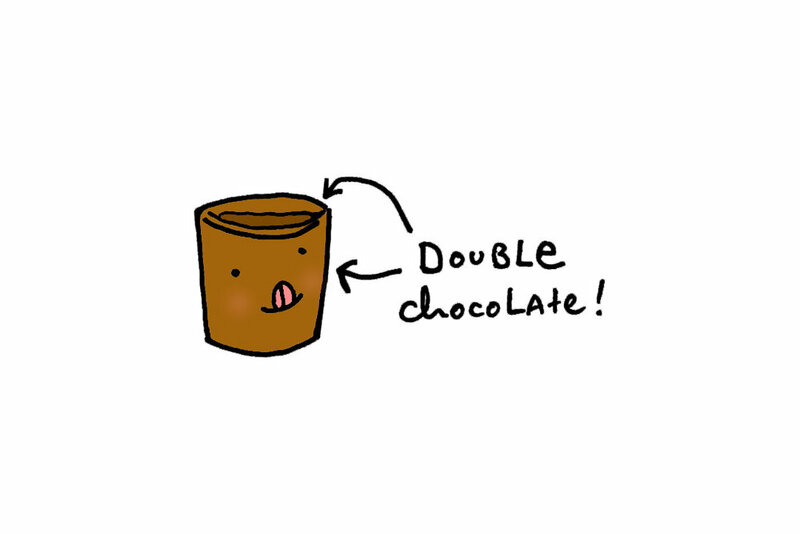 It's not round, but rather, it's got a shape that is sort of somewhere between a peanut butter cup and a mini muffin. Inside, rather than just crumbled cake, you'll find an adventure. Flavors include a chubby hubby inspired variety with caramel and a cookie bottom covered in chocolate, a tiramisu-inspired flavor including a white chocolate coating and spices (pictured above), and a chocolate lover's version with espresso and dark, dark chocolate. So let me say: I'm obsessed with these things. 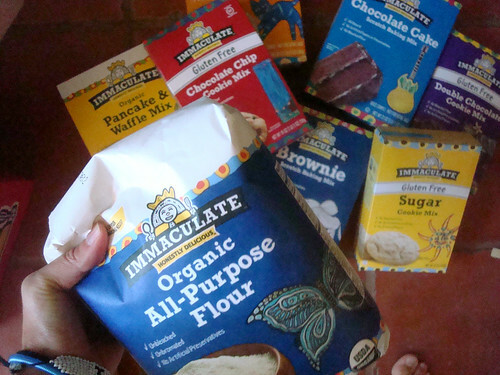 They started carrying one flavor at the local Santa Fe Whole Foods, and I basically bought them every day. I would buy extra and freeze them in case I found them sold out. And then I went to Whole Foods in Dallas and realized I was being gypped in Santa Fe, because in Texas, they had not just one flavor but like six. I bought one of each, thankyouverymuch. So yes, I love these things. "Hi Jessie, we do indeed make all the shuffles for Whole Foods and you can get them in any Whole Foods in the Southwest or Rocky Mountain states. The map for the regions is right here. 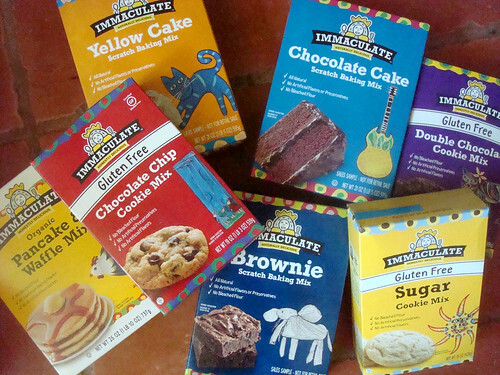 You will be getting more flavors at the Santa Fe store in the not too distant future. 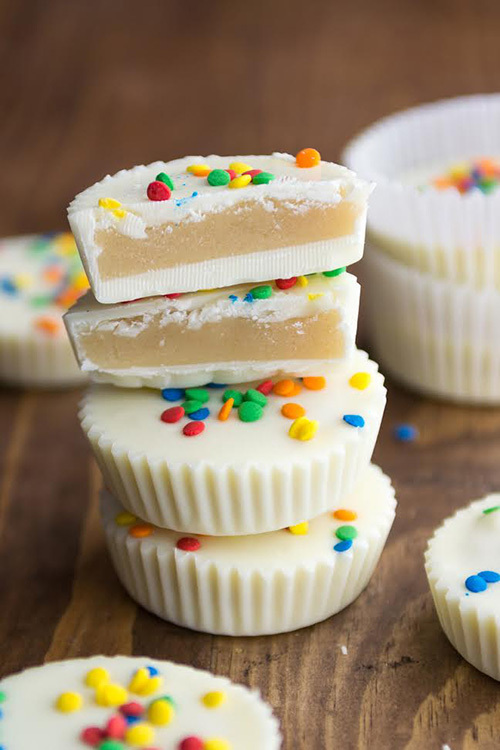 We came up with the name shuffle because they look like a shuffleboard puck, they are a neat “shuffle” of baking and confectionary disciplines, and they just make you do a little happy dance when you get to eat one." Well, yes, they make me do a happy dance, so I liked that explanation. Check them out if they're available to you! Austin Cake Ball also does mail order for their traditional cake balls, but I love these shuffles so much I don't know if I'll ever even quit them long enough to eat any of the regular cake balls. Austin Cake Ball "shuffles"--available in "region 11" Whole Foods locations--map here. Anyhow, my friend Jocelyn (she's kind of famous, you probably know her website, Grandbaby Cakes) wrote a book. It's called Grandbaby Cakes: Modern Recipes, Vintage Charm, Soulful Memories. And I think you should buy it. I could tell you about how funny and cool Jocelyn is, and how we clicked instantly when we met last year at the Pillsbury Bake-Off. I could tell you how we instantly decided that Oprah owed us both a check (for what, other than being awesome, I'm not 100 percent sure). But I'm sure that as fascinating as our mutual funniness and complete cuteness is to you, you're in it for the cake. 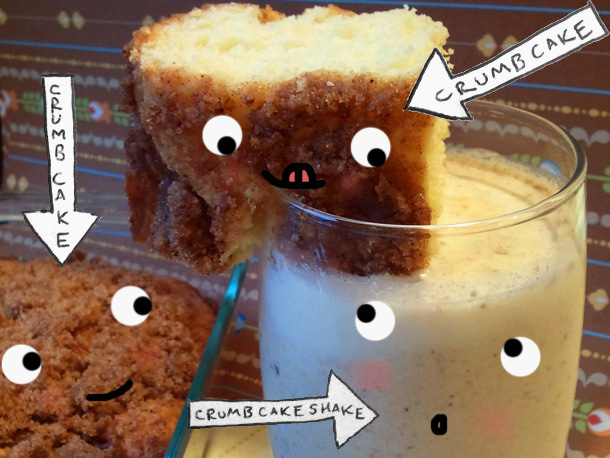 So here, I present an excerpt from the new book, a fantastic recipe for 7-Up Pound cake. Enjoy! This is a vintage recipe that has been in my family for decades. It was actually the very first cake I ever learned to bake, which I suspect is not only because it is my mother’s absolute favorite cake but also because it was an unintimidating induction into the baking world, with results that even a nine­year­old girl could master. If you are a beginner baker, this is an excellent recipe to start your journey with. You may even get bitten by the baking bug like I did. Mama’s 7-UP Pound Cake is a classic and decadent treat complemented by the subtle flavor of citrus soda. The juxtaposition of the crunchy crust to the moist inner texture makes this cake simply irresistible. It melts as soon as you taste it. This recipe doesn’t have a leavening agent, but it doesn’t need one. A significantly longer creaming process adds more air to the batter, giving it the lift it needs. Don’t skip this step. 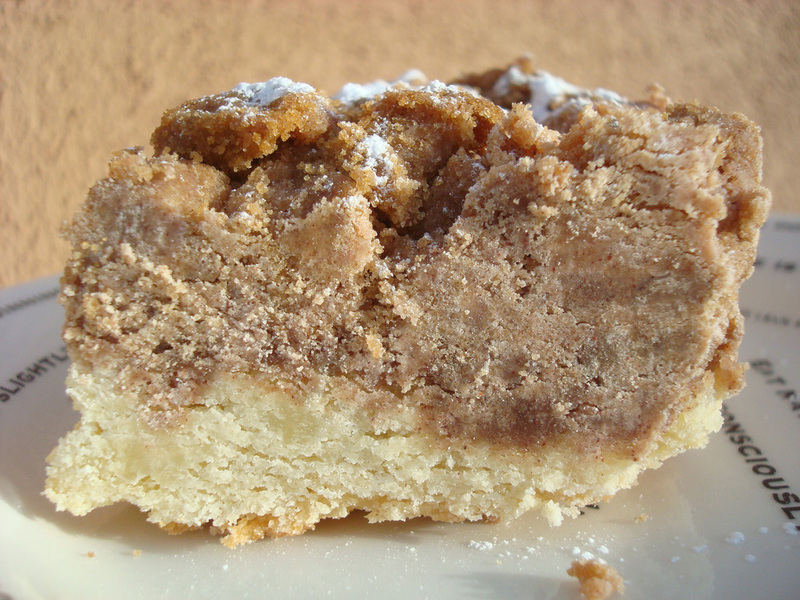 The results are a golden­brown, perfectly filled-­out cake, no leavening necessary. My mother has always been adamant about using the original 7-UP and nothing else. She says you can really taste the difference. While I have used other lemon­lime soda brands ranging from Sprite to Sierra Mist, I try my best to follow my mother’s advice. Preheat your oven to 315°F. Prepare a 10­-cup Bundt pan with the nonstick method of your choice. In the bowl of your stand mixer fitted with the whisk attachment, beat the butter for 2 minutes on high speed. Slowly add the sugar and salt. Cream together for an additional 7 minutes, until very pale yellow and fluffy. Add the eggs 1 at a time, combining well after each addition and scraping down the sides and bottom of the bowl as needed. overbeat. Pour in the 7UP and lemon extract. Scrape down the sides and bottom of the bowl and mix the batter until just combined. Be careful not to overmix. In a small bowl, whisk together all the ingredients until the mixture is pourable. When the cake is completely cool, spoon the glaze over the cake and allow it to harden. Serve at room temperature. 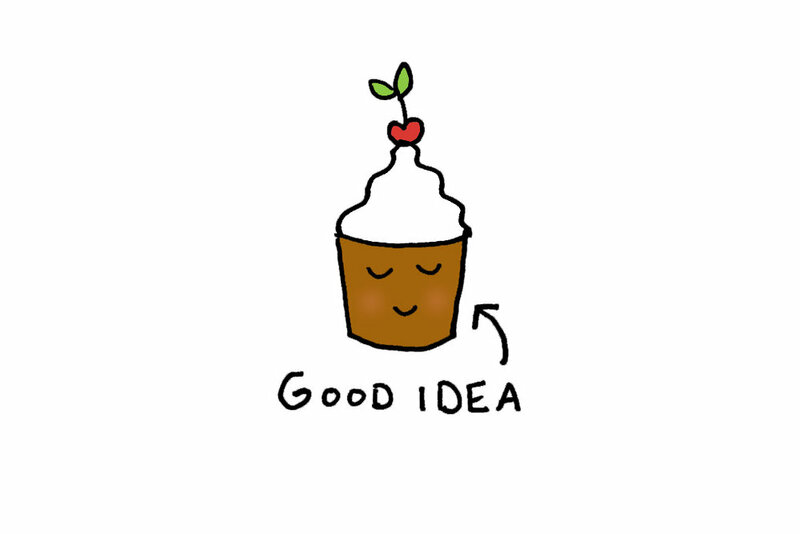 Are you a fan of creating cake flavors that have a boozy touch? 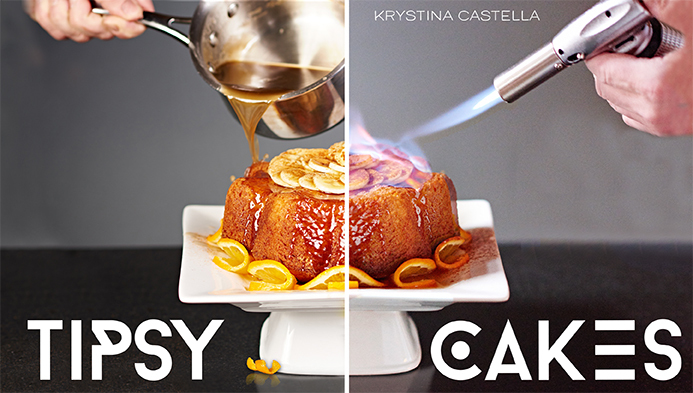 I just launched a new class Tipsy Cakes for Craftsy.com (note: you can check out the class trailer here!). The class paired with my and Terry Lee Stone’s Booze Cakes book (Quirk Books) is now the most comprehensive assemblage of technique and tested recipes on baking with alcohol out there. I had been noticing ads for craftsy.com popping up in my browser over the past several months due to my 3­year­old sons obsession with watching sewing videos. So when a food anthropologist friend of mine who currently works for the company called me and said they have launched into cakes and asked me to develop a course based on the Booze Cake book for them I jumped at the chance. I was excited to have the opportunity to give Booze Cakes book fans more and something different. So what I decided to focus on is adding the collection of already creative and tasty recipes in the book with a behind the scenes focus on technique. Why is baking with alcohol so much fun? There are so many uncommon and interesting flavors that you can’t get with the typical vanilla and chocolate flavorings. When I started baking with alcohol it opened up a whole new world of ingredients and flavor profiles to experiment with and a whole set of recipes. 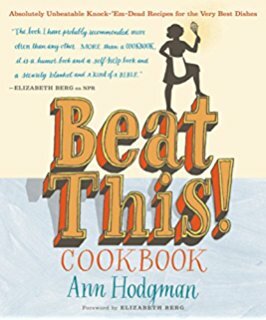 I worked out the curriculum and tested new recipes for months to get the techniques down. In the dead of winter I left the 87­degree temperature of Los Angeles for a week of the beautiful snowy streets of downtown Denver. The space where we baked and shot the class was great old cooking school. The support team from Craftsy that I was provided for the class was top notch. Although I have written 8 cookbooks (7 on baking) and have worked as a professor teaching in front of people for over 20 years, shooting an on­line cooking class was something new for me. When on a photo shoot for a cookbook I am the producer­ the behind the scenes person and the food is in front of the camera­ not me­ and I was a bit nervous. Although after a day of practicing my jitters faded away and I got the hang of it and loved every minute of it. Take the mystery out of baking with alcohol, even for a beginning baker. Teach how to incorporate almost any alcohol into cakes. Show students how much flavor can be added with alcohol and discover what flavor profiles are the best with different alcohol types. Offer base recipes with endless variation possibilities so students can adapt their own recipes to include their favorite booze. In order to help student create their own recipes I created a flavor profile chart for the class. On it I mention suggestions of flavors to try out for your own recipes. 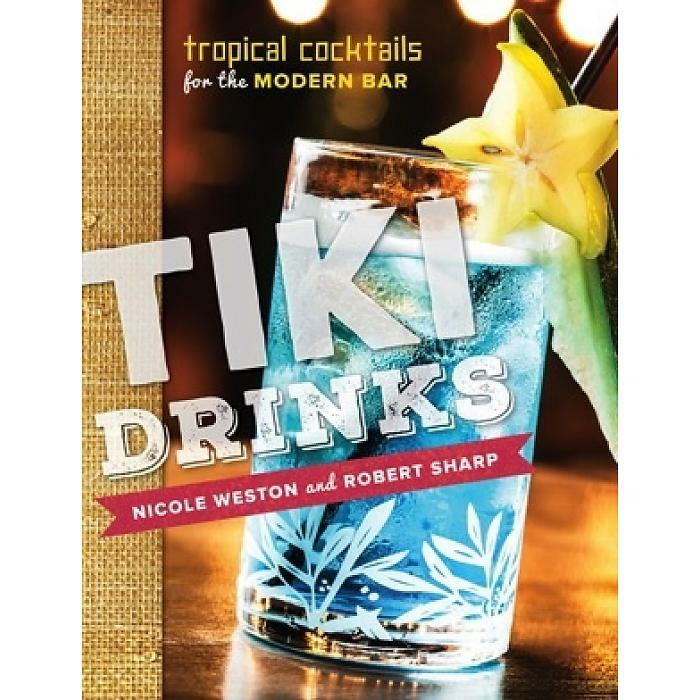 The first place to start is to look at popular cocktails. The White Russian Cake I developed for the class is made with similar ingredients as a White Russian drink: vodka, cream and coffee liqueur. Alcohols paired in cocktails also make great inspiration for cakes. For instance, the B­52 drink is made with Coffee liqueur, Irish cream and Triple sec; you might try to make a B­52 cake with coffee liqueur cake with Irish Cream Buttercream and a Triple Sec Soak. One good rule of thumb when thinking about how to pair alcohols with both sweet and savory flavors is to think about what you like to eat with a favorite alcohol. 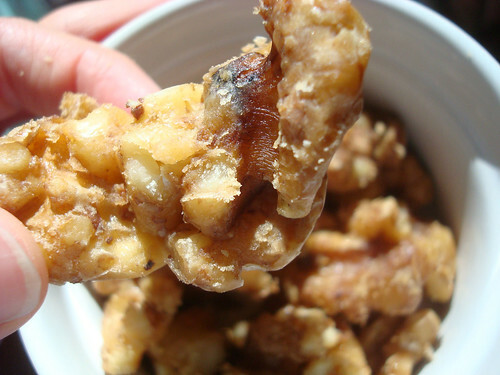 Do you like to snack on cheddar cheese or eat other salty flavors such as salted nuts when you drink beer? Adding them to a beer cake will also taste good. Another place to look for inspiration are the flavor overtones in the alcohol. For example white wine have citrus, apple, plum and mango, hazelnut overtones. 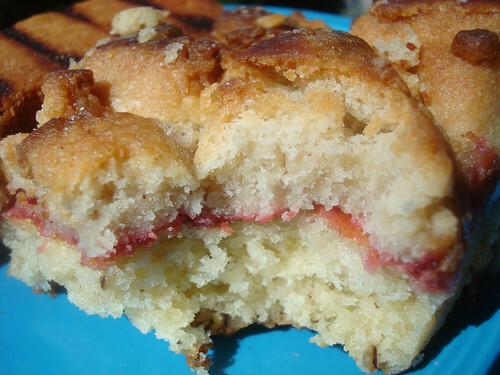 Therefor orange, lemon, apple, plum and mango cakes will taste great with white wine added. The course consists of 7 classes, each focusing on what to consider when baking, soaking or adding to frostings and making garnishes. In each class students learn how to get the most flavor in their cake from specific classifications of alcohol. In the Rum Lesson students learn how to make a soak. In the Fruit and Nut Liqueurs Lesson students learn to add sweetened fruit­ and nut­flavored liqueurs into fillings and frostings. In the Coffee and Cream Liqueurs lesson students learn how to retain alcohol in baking while still giving the cake enough time to bake through. In the Hard Alcohol lesson students learn to exercise moderation, and incorporate small amounts of hard liquor to create surprisingly subtle flavors. In the Beer Lesson I discuss different types of craft beer and explore some exciting flavor combinations that work with each. In the Wine Lesson students learn the benefits of reduction and how to create powerful and complex flavors. Finally in Cocktail Cakes, the most fun lesson, I pull together the techniques demonstrated throughout the class and show a collection of cakes based on favorite mixed drinks. Along the way students learn about flambé sauces, how to make a poke cake, an ice cream cake, and edible cocktail garnishes including chocolate and strawberry shot glasses. Also on craftsy.com you can ask me any questions you have about baking with booze and post your creations. 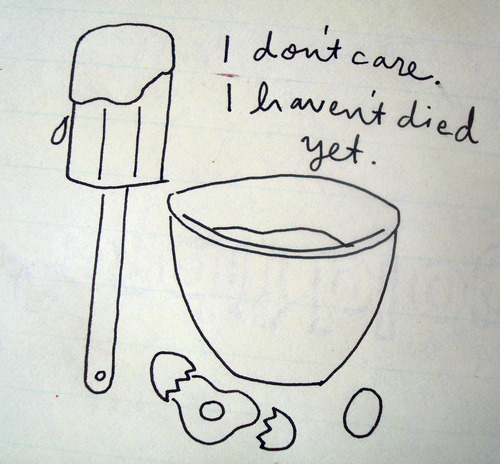 I hope to hear from and see what you make there – Happy baking and good eating. Special for CakeSpy readers: get 50% off the class here! Note: if you think Krystina is cool (she is! ), you can follow her (and the class) on Facebook. 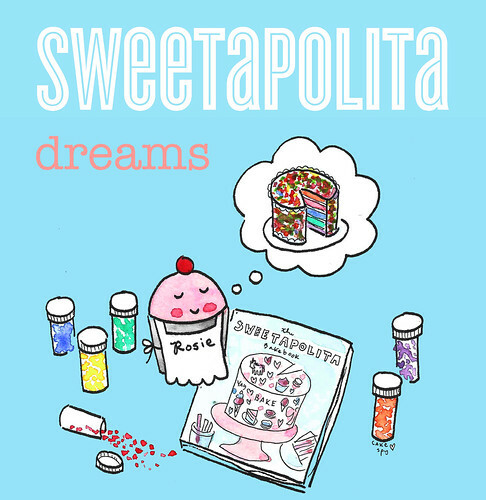 A cupcake, robot, bunny, and unicorn all agree: you should buy The Sweetapolita Bakebook: 75 Fanciful Cakes, Cookies & More to Make & Decorate. A few weeks ago, a package arrived in the mail. It was addressed as follows: "to Cuppie the cupcake and his friends robot, bunny, and unicorn, and CakeSpy is under no circumstances allowed to peek". Ouch, that hurt. Usually the review copies come to me! 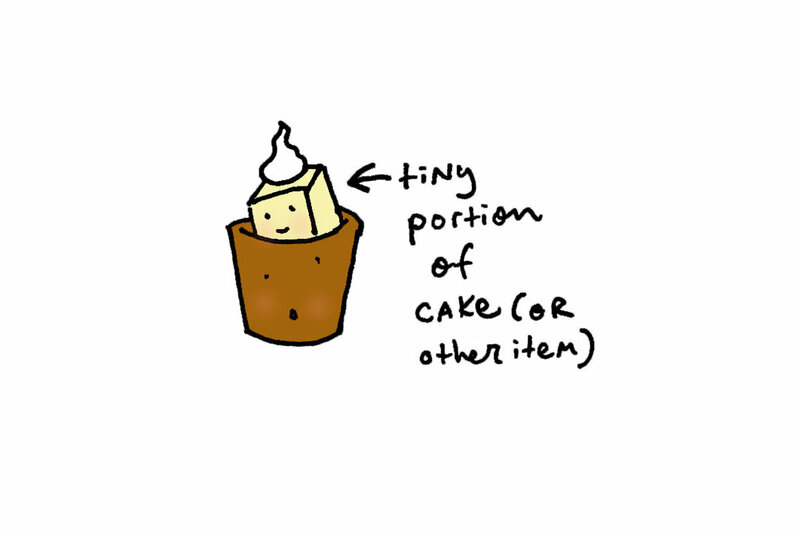 But I let the cupcake and his friends have the package, and I could see from across the room the book looked like this. Why would they keep it from me? It looked like my dream book. A couple of weeks later, I was contacted by the publishing PR company, asking if I wanted to be part of the author, Rosie Alyea's, blog hop, which includes tons of awesome prizes. Hey! What about the strange address on the package? Turns out, Cuppie had done that so he could have the book all to himself (and, you know, to share with his illustrated buddies). 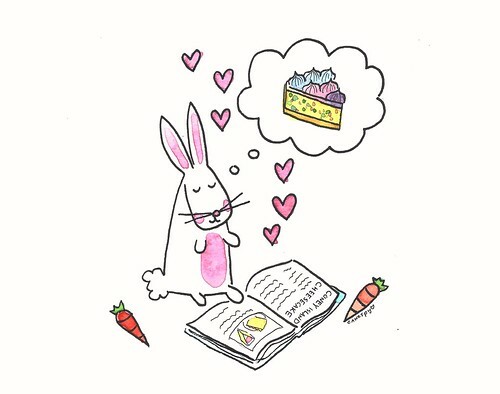 So I decided that for my entry in the blog hop, instead of making a recipe, I would ask all of the characters what they liked best from the book. Cuppie, who decided to channel Rosie with his apron (let's just not go into the cross dressing aspect of this, OK? 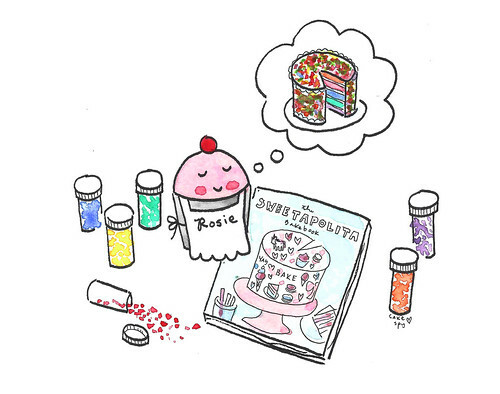 ), simply loves the rainbow and sprinkle cake, which is composed of multicolored cake layers frosted with blue buttercream and completely smothered in sprinkles. 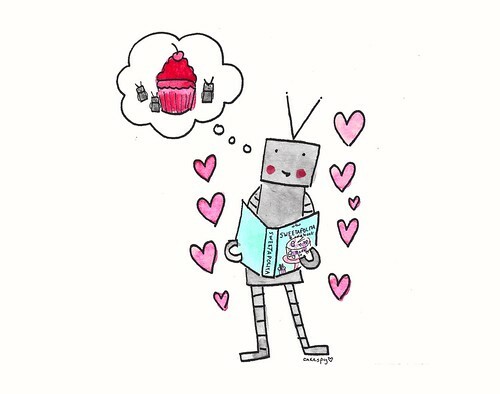 Robot, who you would think would like the robot pop rocks truffles best, did indeed enjoy those--but his first recipe to bake from the book will definitely be the pink cherry party cupcakes. Bunny loves the Coney Island Cheesecake. 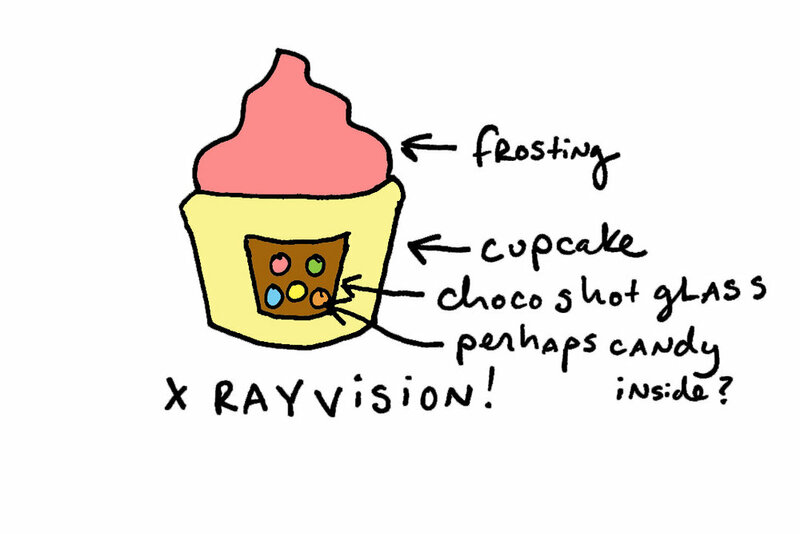 It's sort of like Funfetti plus a rainbow meet cheesecake. How could you not love it? 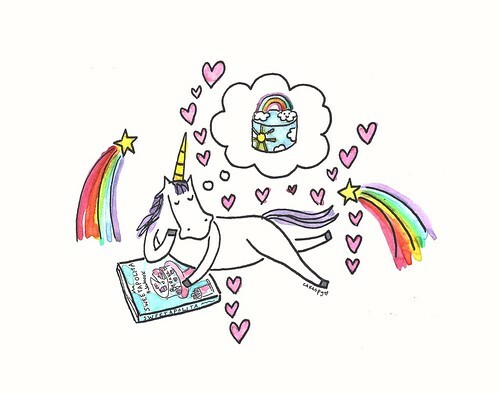 You really shouldn't be surprised that Sprinkle the unicorn likes the sky cake on page . 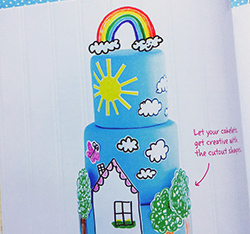 Especially the topper, which features a rainbow that reminds Sprinkle of the place he was born. This gives you a glimpse of the book, but by no means the full scale. You simply must buy it! Which recipe are you most excited about? Lucky you, dear readers! 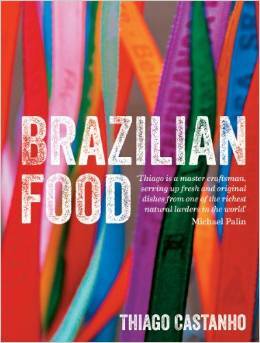 What we've got here is a guest recipe and excerpt from the fantastic new book Brazilian Food by Thiago Castanho and Luciana Bianchi . This is a really lovely book, with photos as vibrant as what I imagine Brazil to be (having never been, it's all imagination for me!). The recipes are accessible, flavorful, and interesting--and exotic. 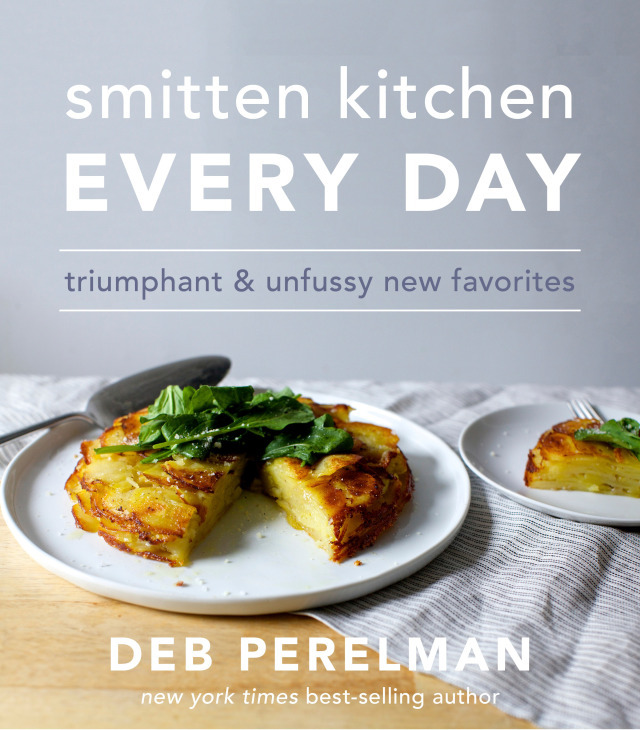 It's a cookbook to dream on, and I think it would make a nice holiday gift! And, well. 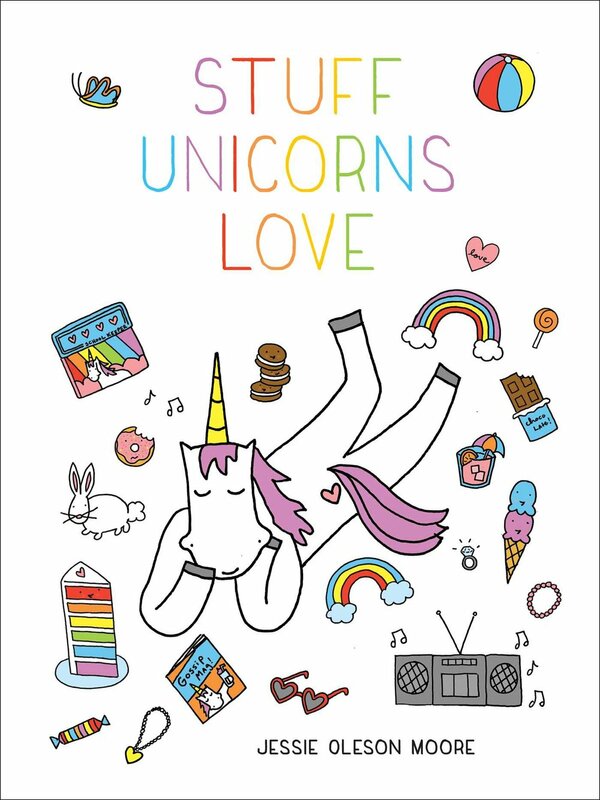 Even if none of that intrigued you, the fact is this: the cover features rainbows. Note: the photo and recipe in this post are used with permission from Brazilian Food by Thiago Castanho & Luciana Bianchi, Firefly Books 2014, $39.95 hardcover. 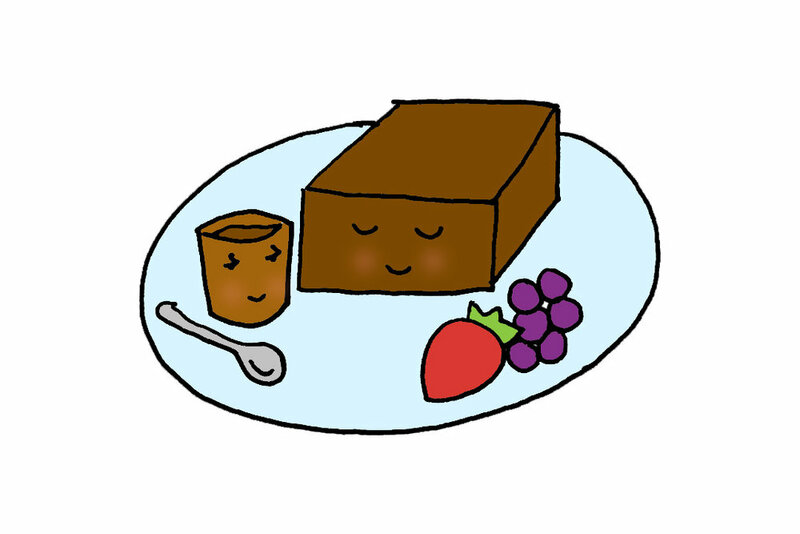 This is a traditional pudding of the Amazon region. It does not contain wheat but granulated tapioca flakes, usually moistened with coconut milk. We eat it in the morning or late afternoon, but it is always accompanied by a cup of freshly brewed coffee. 1. Cut the vanilla beans in half lengthwise, and scrape out the seeds with the tip of a knife. Put the seeds, bean pods, shredded coconut, and all the milks in a saucepan. Place over medium heat, and cook, stirring constantly, until the mixture reaches scalding point. Discard the vanilla bean pods. 2. Put the farinha de tapioca in a large bowl, and add the hot milk mixture. Stir well. Pour the pudding batter into a generously oiled 12 x 4.-inch (30 x 11 cm) loaf pan, and refrigerate it for 3 hours, or until it is firm. 3. 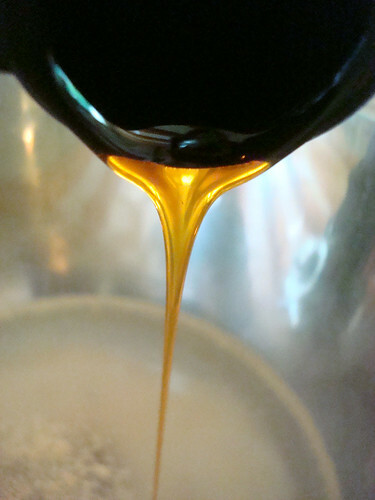 To make the coffee syrup, combine the rapadura and . cup (60 ml) of water in a saucepan. Heat for 2 minutes, stirring until the rapadura has dissolved. Add the coffee and remove from the heat. 4. For the caramelized tapioca, combine the farinha de tapioca and sugar in a saucepan, and heat gently, stirring constantly, to melt the sugar. Cook until the caramel is a light golden brown. 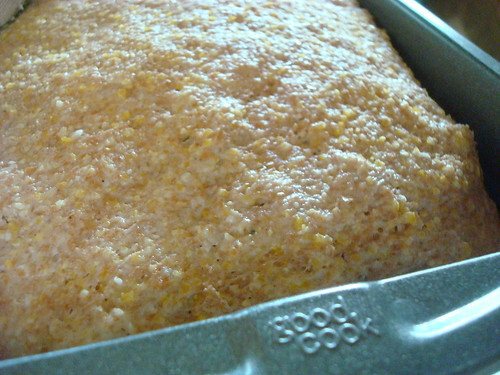 Pour the mixture into a nonstick baking pan and let cool. Store in an airtight container. 5. 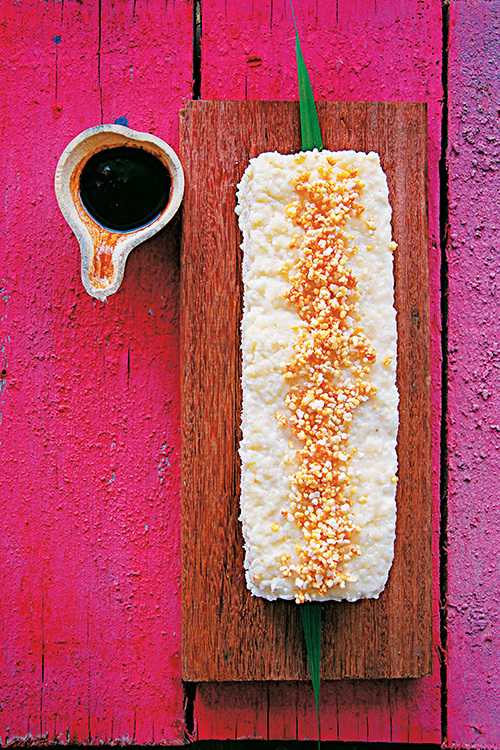 Transfer the chilled cake to a serving board, and sprinkle with the caramelized tapioca. 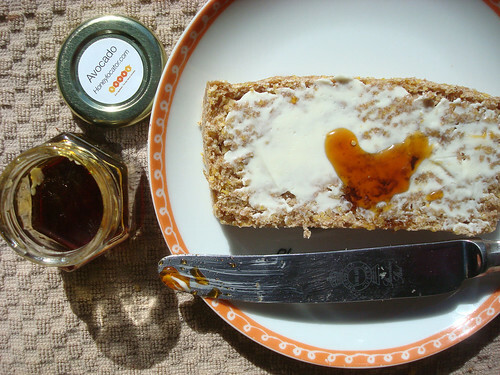 Serve in slices, accompanied by a drizzle of coffee syrup. Tips from Thiago: When pouring the pudding batter into the pan, press it down gently to pack it together and prevent it from falling apart when it is removed from the pan. I felt a shiver of excitement upon receiving a review copy of the new book Dessert Mashups by Dorothy Kern of Crazy For Crust (a site well worth checking out if you ask me). Before I even opened the book, I already loved the concept. 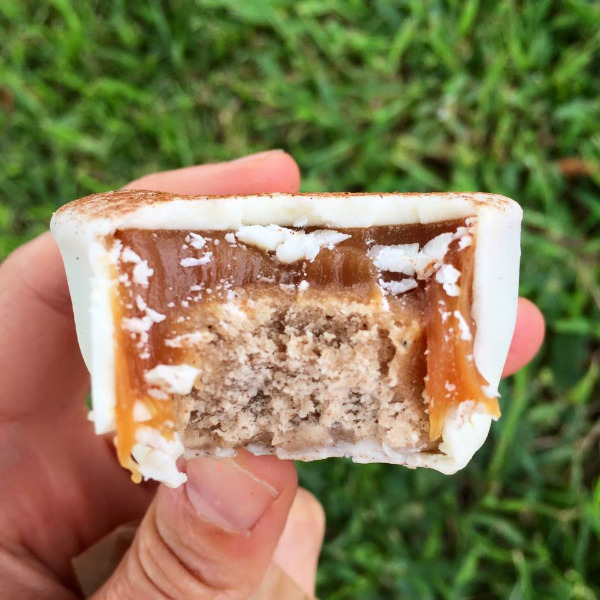 Upon opening it, I just got more excited: s'mores cakes, cheesecake cookie dough truffles, carrot cake-coffee cake...the tasty mashups prove that if some is good, more is amazing (something I have long suspected). 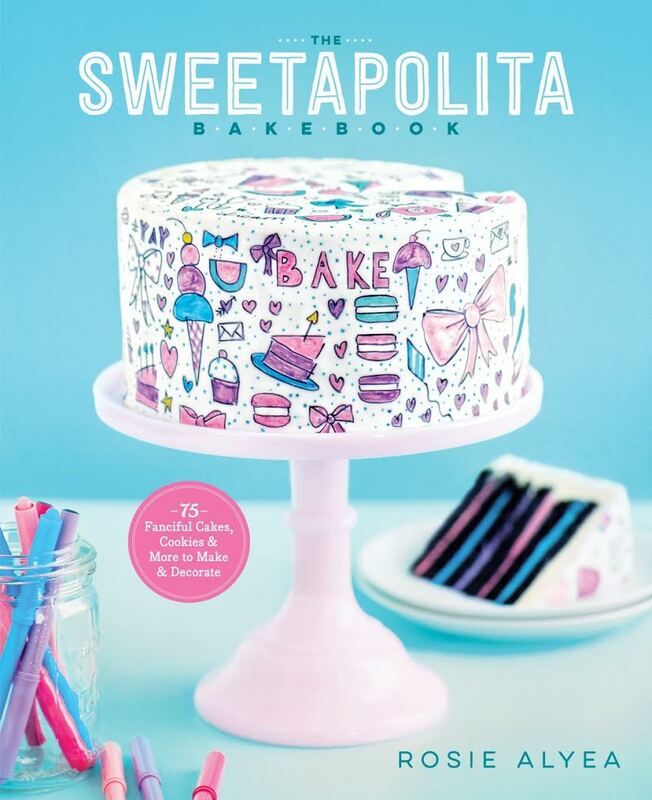 Basically, I'm going to tell you that if you liked my first book, CakeSpy Presents Sweet Treats for a Sugar-Filled Life , then you absolutely need to buy Dessert Mashups. In case I haven't made myself clear enough, I'll bring the point home with an excerpt from the book, for sugar cookie dough cups. This excerpt, including headnote and photo, is reprinted with permission from Ulysses Press. Thanks dudes! Someone come over my house, because I feel like I could eat the whole batch!